Although presenting over one carat in outline, this enchanting diamond--a square step-cut with sharp or uncut corners (aka Carré Cut)--weighing approximately .65 carat, glistens within a striking frame of royal blue calibre sapphires, all set in white gold with trios of tiny round stones enlivening the upper ring shank. Hand fabricated in consummate classic Art Deco style. 7/16 inch, currently ring size 6 1/4. *Payments as low as $219.17 per month. This example payment is based on the listed product price of $4,750.00 assuming a 24 month term loan and a 9.99% APR. Your terms may vary and are subject to credit approval. Rates range from 5.99% to 29.99% APR, resulting in, for example, 24 equal monthly payments of $45.22 to $55.91 at 7.99% to 29.99% APR per $1,000 borrowed. Bread® loans are made by Cross River Bank, a New Jersey Chartered Bank, Member FDIC. 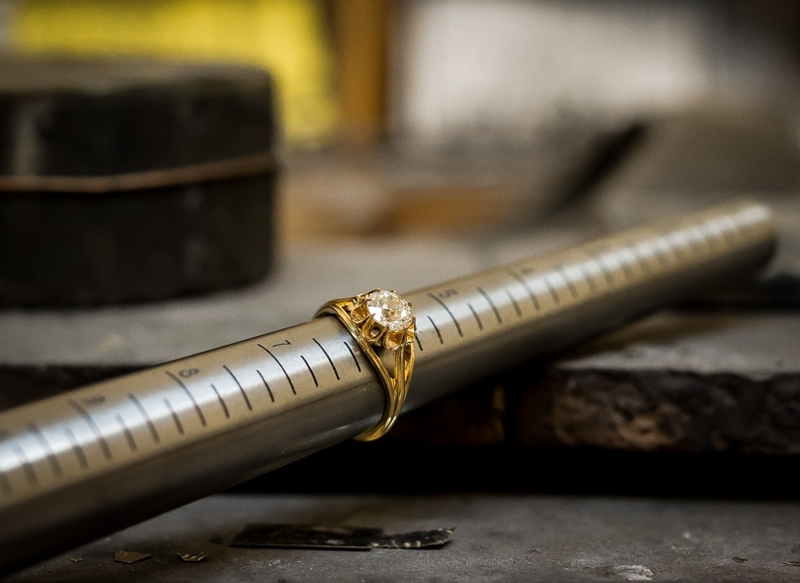 Carat Weight: 0.65 carat Because mountings prohibit full and accurate observation of gem quality and weight, all data pertaining to mounted gems can be considered as approximate unless accompanied by an independent laboratory certificate (AGL, EGL, GIA). Unless otherwise stated, all colored stones and pearls are assumed to be subject to a relatively stable and possibly undetected color and/or clarity enhancement. 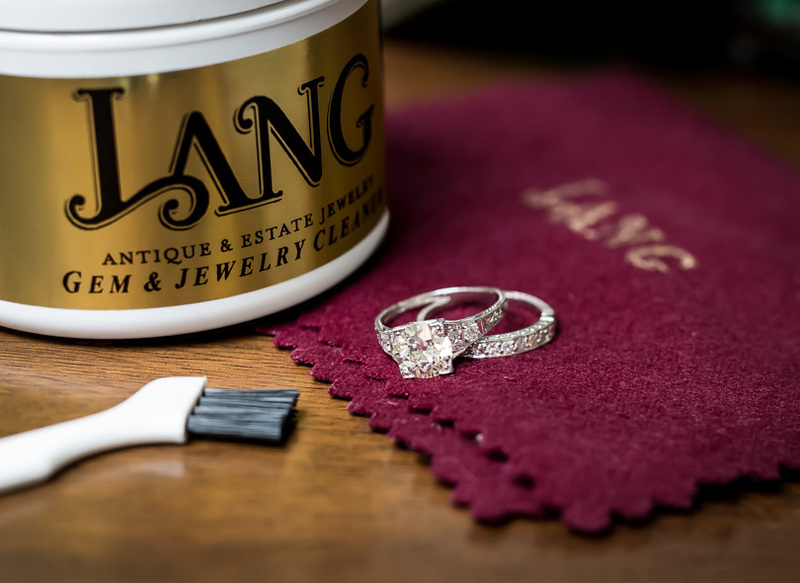 At Lang, our team of GIA Graduate Gemologists grade our gemstones to the highest standards adhering to the strict GIA grading system. Each piece is carefully inspected to guarantee our grading and quality standards. 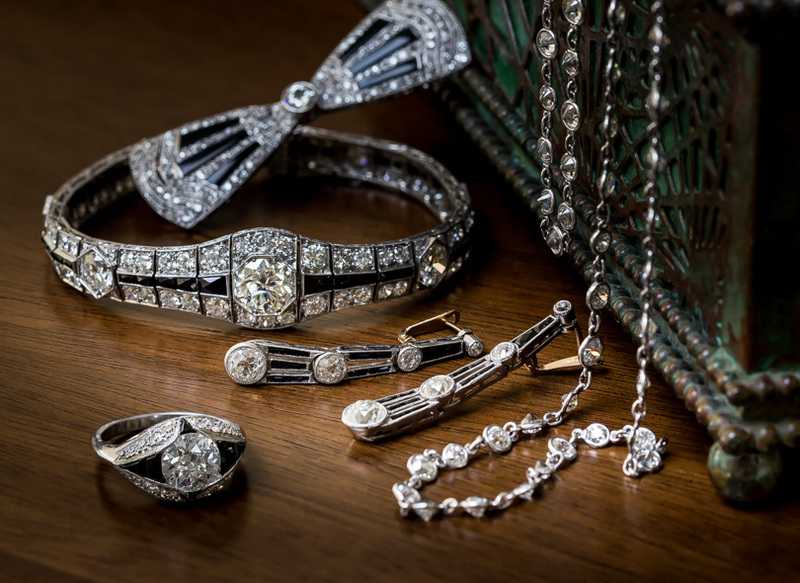 With streamlined shapes and geometric motifs, jewelry gets graphic during the Jazz Age.